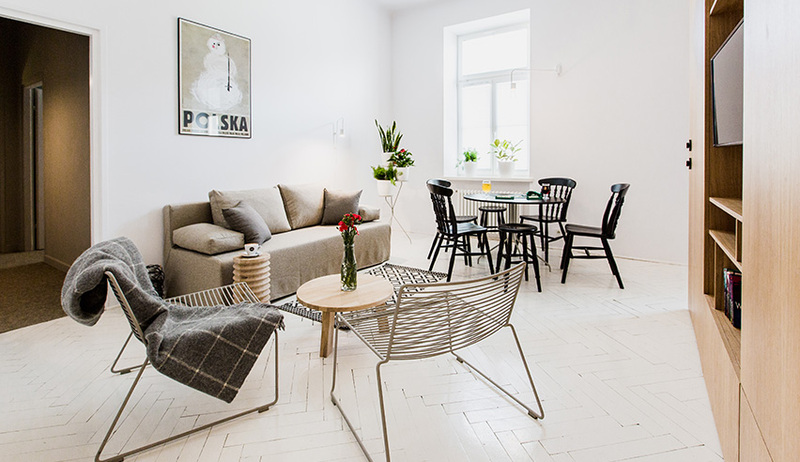 The Perła Brewery Apartments are situated in the historic complex of the former Vetter Brewery in Lublin, within a 10-minute walk from the charming Old Town, and within a 15-minute walk from the train and bus stations. Our guests are offered an excellent opportunity to use all the benefits flowing from a stay in the historic buildings owned by the Lublin beer producer. 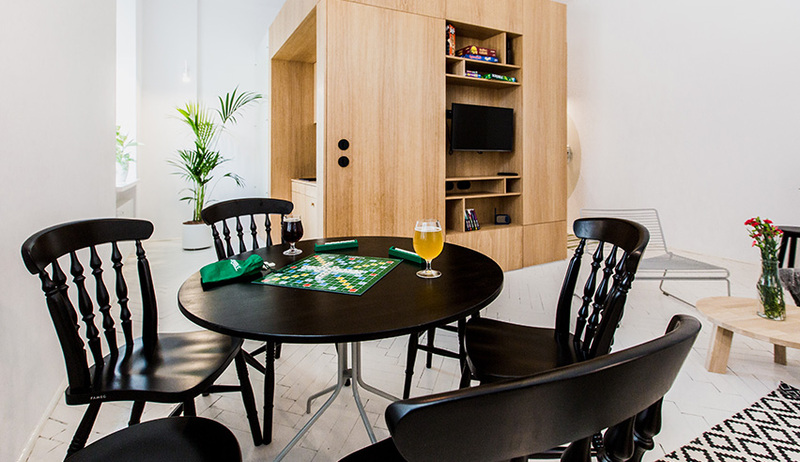 The Apartments are adjacent to the Perłowa Beer House – a Perła branded facility that serves all kinds of beer made in the Lublin and Zwierzyniec breweries, along with beverages produced exclusively for the Beer House. The kitchen of the Perłowa Beerhouse, also famous outside Lublin, is the kingdom of master chef Przemysław Kaproń, who is an expert in combining natural products obtained from local suppliers with the flavours and ingredients inspired by beer. Everyone who would like to find out more about the production of this golden alcoholic beverage is invited to the Beerhouse Underground, which is a special tourist route along the rooms in which beer was brewed from the middle of the 19th Century until recently. In the summer the visitors of the Apartments can participate in open-air film displays in the yard of the brewery within the Perła Cinema, or attend one of the open-air events on the green areas at the back of the brewery. 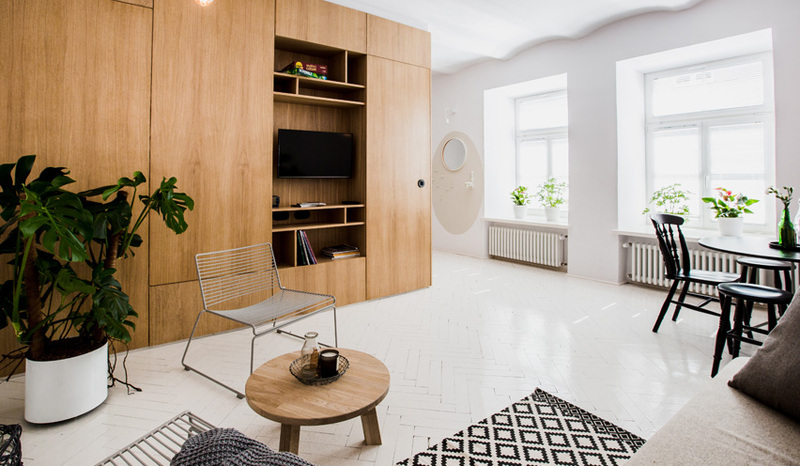 The historic buildings of the Perła Brewery hold 7 apartments with areas from 25 sq. m to 62 sq. m. The modern, comfortable rooms surprise with their open spaces, finished primarily with multifunctional tiles, and including a kitchen, toilet, bathroom and wardrobe. The apartments with a larger area have additional rooms – bedrooms with mellow, gray colours, with beds mounted on special platforms. The area is divided into a living-room section, with pale colours and contrasting plants, and the bedroom area, mellowed down with subdued, warm lighting. 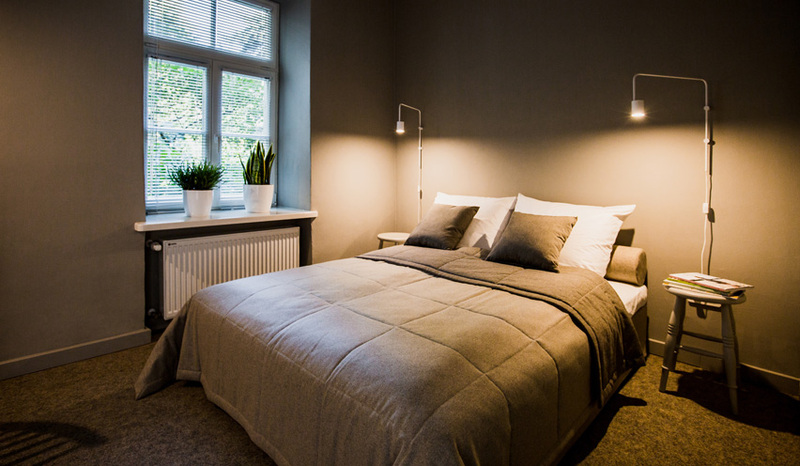 To provide our Customers with comfort and luxury, our Apartments package includes additional concierge services, such as conference and business meeting organisation and planning, the ordering and delivery of flowers, shopping, cinema and theatre tickets, an express laundry, hiring a professional tour guide around Lublin and local attractions, booking a car, organising transport to the bus station and airport, and information on festivals, events and entertainment in Lublin. Our Guests can use Wi-Fi and the car park free of charge. 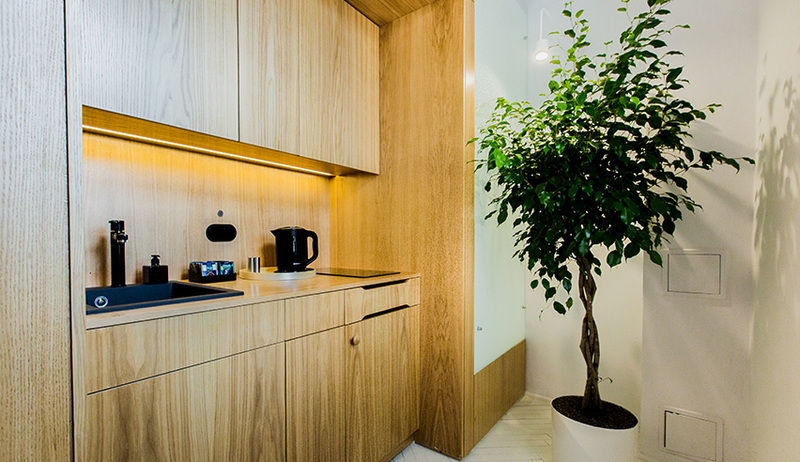 - a bathroom with a toilet, a shower with a rainshower head, a hairdryer, and high-quality cosmetics. 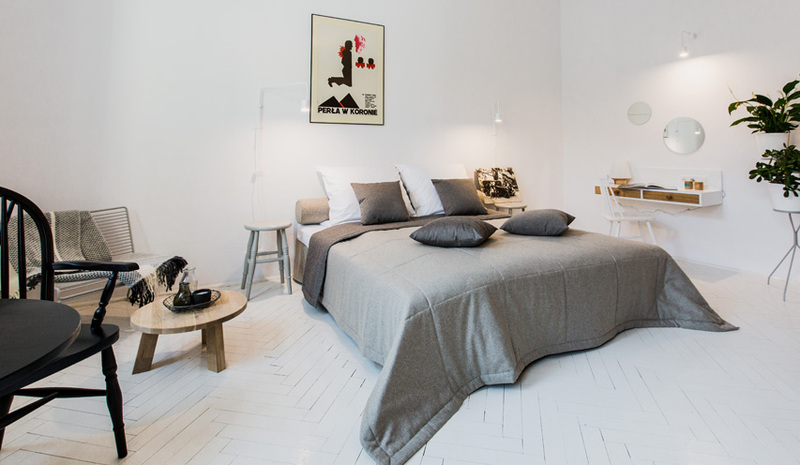 The bedroom space consists of two separate locked bedrooms, one with a double bed and the other with a single bed. The apartment is suited to the needs of the disabled. There is a separate entrance from the yard. 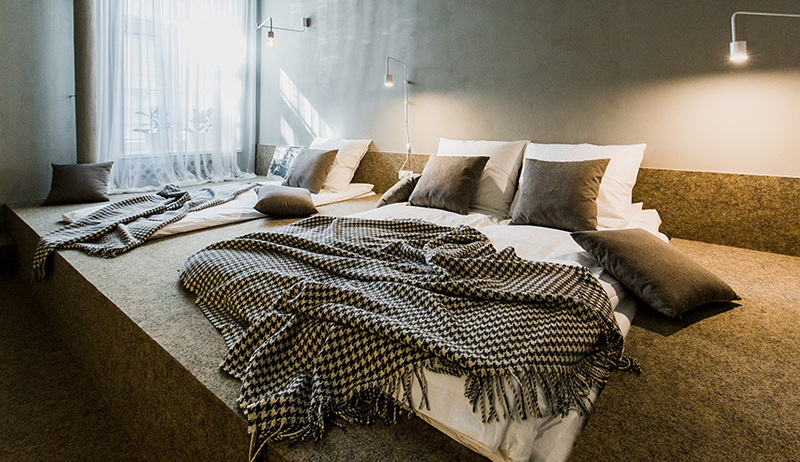 The apartment has two separate beds which can be joined. Located on the first floor, entrance from the first staircase. Can be combined with apartment C.
The apartment is equipped with a double bed. Located on the first floor, entrance from the first staircase. Can be combined with apartment B. The bedroom space consists of two bedrooms with two double beds mounted on special platforms. Located on the first floor, entrance from the first staircase. 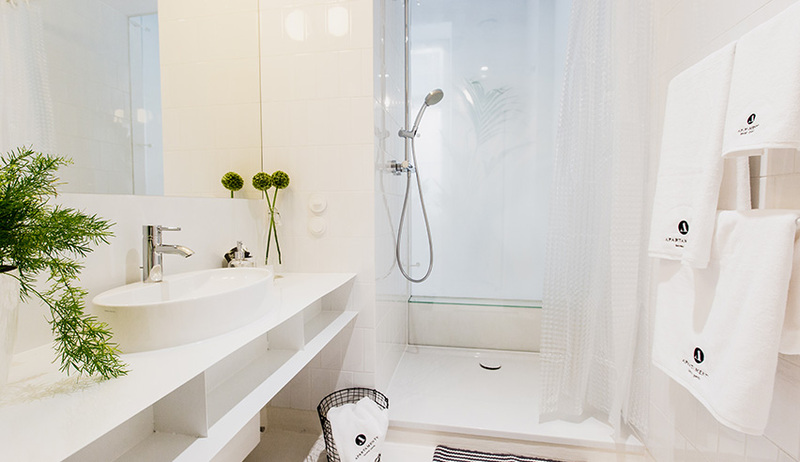 - a bathroom: a shower with a rainshower head, a hairdryer, cosmetics, and a separate toilet. The bedroom space is a three-person bedroom with two beds on a platform, one double and one single. Located on the first floor, entrance from the second staircase. - a bathroom with a toilet, a shower with a rainshower head, a hairdryer, cosmetics. 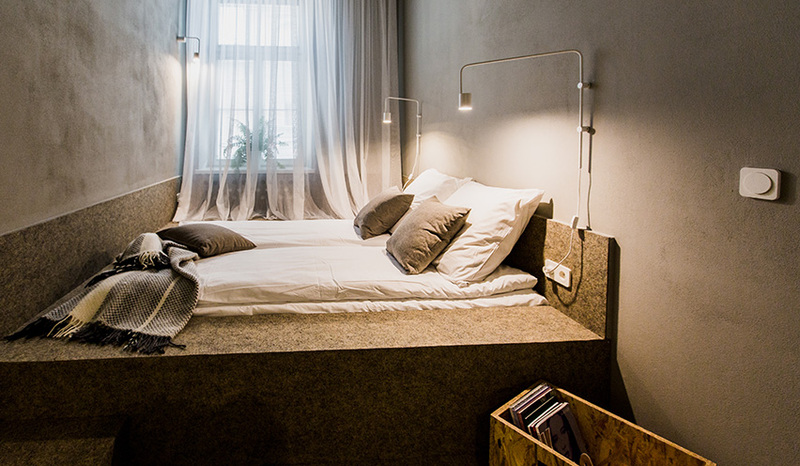 The apartment has two separate beds which can be joined. Located on the first floor, entrance from the first staircase. The balcony with a view of Bernardyńska Street. The apartment contains a double bed. Located on the first floor, entrance from the second staircase.